In these times of peace, guards' swords were almost decorations, only used to deter petty crimes and a few highwaymen. However, the city guards still held on tight to the precious memento of one of their most respected man, who died years ago: Edgar. Even without wars, no rust appeared on their swords, as they kept it in prime condition at all times. But all this soon changed. On the other side of the sea, the armies were preparing. Always hungry for more territory and carnage, Orcs, Goblins, Trolls and some yet nameless creatures sharpened their swords in anticipation of the battles to come. For them, there was no peace, only preparation for the next war. As soon as they landed on shore, ready to take on fishing villages and small cities, they found themselves surrounded by a large force of guards, their trusty swords ready to act. The monsters thought they could surprise mankind, but even in the most peaceful times, the kingdom's vigilance was unbroken. This was the oath they all swore when they became guards, to protect the realm at all costs, and at all times. 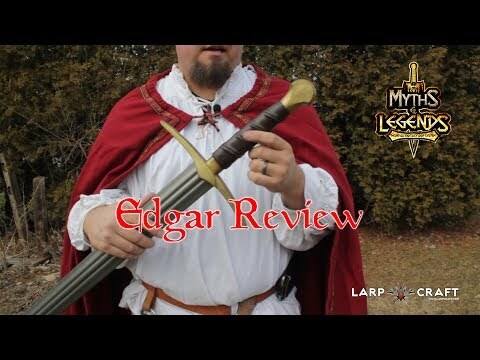 The new version of the popular Edgar III LARP sword still has many of the features that made the older model so successful : safe Calimacil foam, realism and ease of use. Its handle has been revisited to feature a more used, realistic look. Its steel-coloured blade is the new version of one of our most popular blade, which is now sharper while remaining as safe as ever. 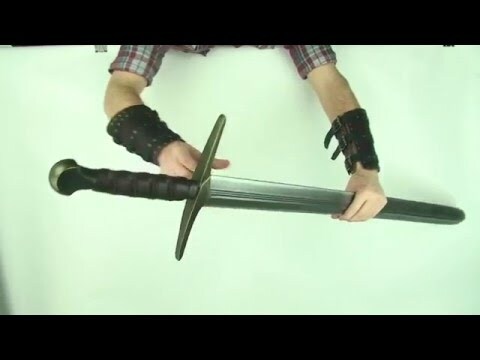 The result is a LARP sword that is more realistic, yet as durable and safe. 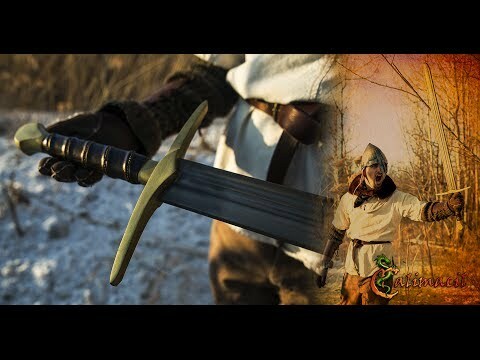 The Edgar IV sword is perfect for any human character: its simplicity and efficiency will be loved by a large variety of characters. Mercenaries, noblemen and barbarians alike will be able to wield it for the best results thanks to its versatility in combat. Beware, however, as Orcs and other monstrous creatures will also like its razor-sharp edge, perfect to enforce their ruthless empire.